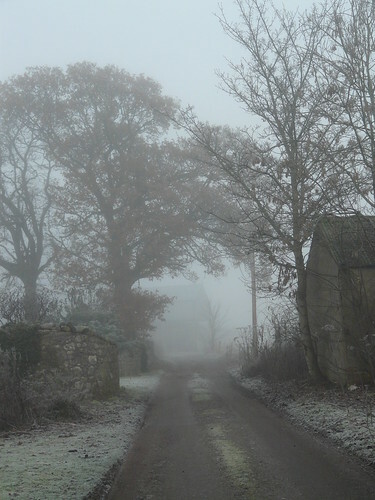 It hasn’t got above zero here for a few days and a thick layer of freezing fog has engulfed us all of that time. 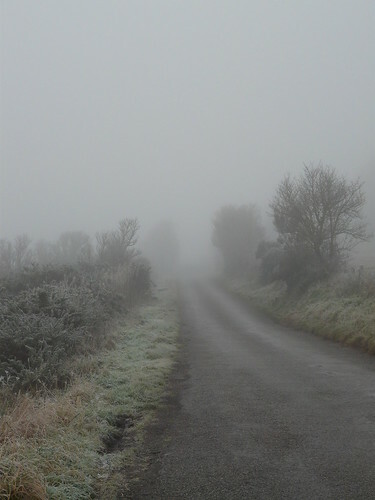 If you ever want to freak yourself out, try going for a solitary walk along a lonely country road in icy mist. I would love that walk, I miss those lonely roads. Chance would be a fine thing to find in Utah. Beautiful countryside. I would love that walk too. Great pictures as usual. 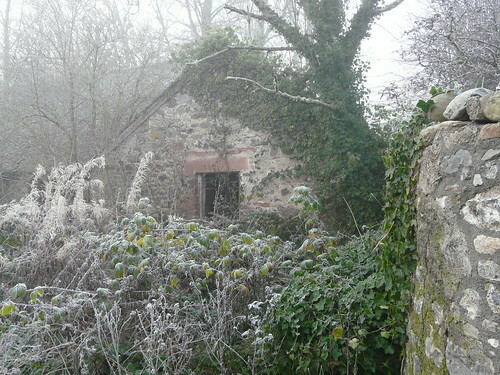 gorgeous and atmospheric! i hate the icy roads and streets, but i love the solitary feel of these walks. 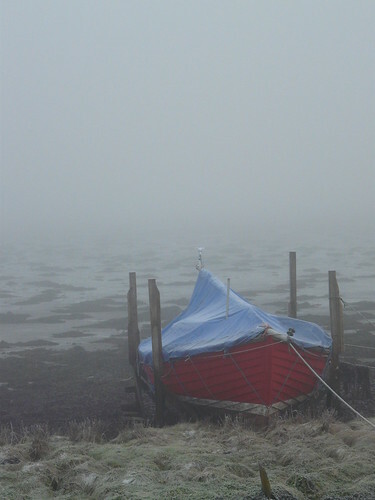 You know what, that boat looks ghostly! The fog in Edinburgh Friday / Saturday, was something else. No sunlight for two days! There were so many opportunities for fantastic photos, and looks like you got your fair share, I love the picture of the road. Scotsman – Utah? That’s about as far from Scotland as you get in all ways. Hope you find some lonely roads sometime. Gale – It was lovely. Gen – Very spooky. Especially when a figure came out of it. Eeeeeek! Pia – The snowy ones you took were amazing though. Lauren – It was a weird few days, wasn’t it? Stunning photographs, such a beautiful place to live too.